The recent SVG Europe SportTech event saw Net Insight chief solution officer live OTT Stefan Gustafsson take part in a lively discussion entitled ‘OTT Debate: What’s Facing Live Over-the-Top Sports Today?’ Among other developments, Gustafsson took the opportunity to reflect on the remarkable recent success of its Sye live OTT platform, not least as part of a groundbreaking immersive racing experience for the Scandinavian Touring Car Championship (STCC). Working with other partners including Lagardère Sports and Storyfire to create an immersive racing viewing experiences on mobile devices, Sye’s ability to deliver synchronised video feeds over OTT, with an ultra-low fixed delay, was integral to the STCC Live App. It is now more than two years since Sye was first introduced, at the NAB Show 2016, and while much about the OTT solutions market has changed there is also much that stays the same. In particular, the drive to maintain low latency as the volume of content, and the number of platforms being supported, continues to grow has remained acute. Also speaking at SportTech, Gustafsson remarked that it is now possible to “lower the latency well below what broadcast latency is currently, to 1.5 or 2 seconds.” For Net Insight, the approach taken revolves around the use of what Gustafsson terms “robust UDP” – User Data Protocol being an alternative communications protocol to TCP (Transmission Control Protocol) used primarily for establishing low-latency connections between internet applications. Over time multiple new features have been added to Sye, such as the ability “to keep metadata separate from the images” – a requirement made more important by the “whole starboard side of advertisements that we began to encounter with deployments by large organisations in Europe and the US”. Such additions have made the case around Sye evermore compelling, and although there are still occasions where resistance to live OTT is encountered these are increasingly few and far between. 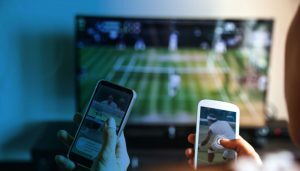 “We have got to the point where the majority of potential customers understand the product and what it can do, and have great expectations of OTT as a whole,” says Gustafsson. 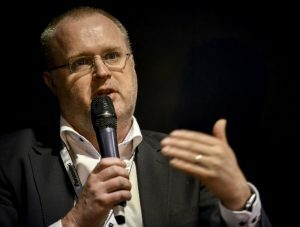 Looking to the future Gustafsson highlights the increasingly extensive conversations taking place with CTMs, describing this high-level dialogue as being “absolutely crucial to the long-term success” of live OTT. Net Insight also continues to watch the development of the CDN community with keen interest, not least its own CDN service that continues to develop a presence among smaller and medium sized service providers. A slew of significant recent deals in the content creation sector have led many to question the long-term outlook for production and distribution. Gustafsson is not alone in forecasting that there will be a “pretty big transition from a content owner and aggregator perspective”, and that rights costs will be the subject of further review as the market remains highly competitive. However the market finally shakes down, exciting times lie ahead, affirms Gustafsson.